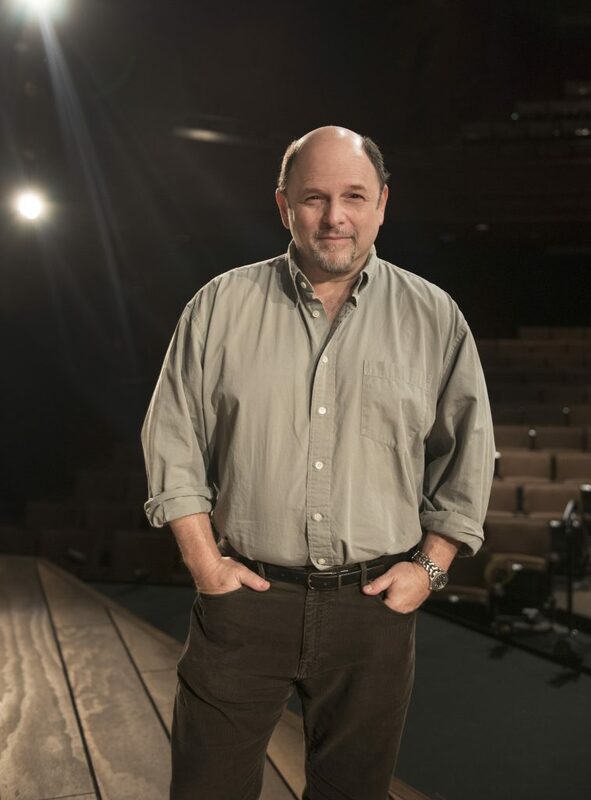 Syracuse Stage welcomes TV star and Tony Award-winning actor Jason Alexander to the 2018-19 season as the director of “The Last Five Years,” written and composed by Jason Robert Brown. The Drama Desk Award-winning musical will run May 29–June 16, 2019, at Syracuse Stage as an addition to the current season. Tickets go on sale to the public Nov. 20 at www.SyracuseStage.org, by phone at 315.443.3275 and in person at the Box Office. Syracuse Stage subscribers and Flex Pack holders will have advance access to tickets on Nov. 7. Though best known for his role on the comedy sensation “Seinfeld,” Alexander has deep roots in theater and won the 1989 Tony Award for Best Lead Actor in a Musical for “Jerome Robbins’ Broadway.” His Broadway credits also include “Fish in the Dark,” “Accomplice,” “The Rink” and “Merrily We Roll Along,” and he originated the role of Stanley in Neil Simon’s “Broadway Bound.” As a director, he has experience in television, film and theater, and he directed a world premiere production at Arkansas Repertory Theatre while Syracuse Stage artistic director Robert Hupp was the company’s artistic leader. Alexander’s interest in directing “The Last Five Years” and his availability also coincided with Hupp’s desire to present more musicals at Syracuse Stage. “The Last Five Years” premiered at Chicago’s Northlight Theatre in 2001. It moved off-Broadway the following year and has since enjoyed many productions around the country and around the world, including in London’s West End, an off-Broadway revival (2013) and a feature film (2014) starring Anna Kendrick and Jeremy Jordan. A contemporary and inventive chronicle of a five-year relationship between aspiring actress Cathy and rising literary star Jamie, “The Last Five Years” has developed a loyal following of devotees through the years. Composer/lyricist Brown (“Parade,” “Songs for the New World,” “The Bridges of Madison County”) has earned praise for a score that ranges from waltzes to rhythm and blues, from Sondheimesque urbanity to witty show-tunes. Many have also been impressed by the depth and complexity expressed by the characters through song. “The Last Five Years” is a sung-through musical. Cathy and Jamie each present an account of their relationship: he from beginning to end, she in reverse chronology. The unconventional structure gives audiences equal access to each perspective and allows each character to emerge fully. The show’s numerous productions have earned accolades from critics who praised Brown’s achievement in character delineation through lyrics while delivering one of the brightest, freshest scores of the new century.